When you create your blog according to your niche and there is no any traffic on your blog or website then it means there is no any purpose to blogging . 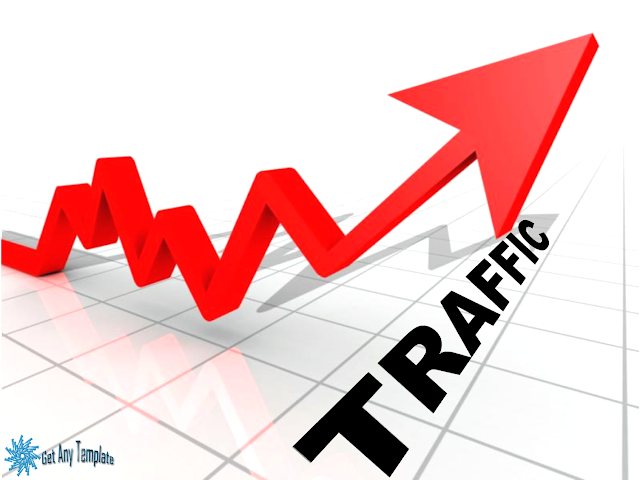 Traffic is one of the major factor which defines the authority of your blog . Now a days you can get and drive massive traffic to your website using just social media like (facebook , Google Plus profile) e.t.c . Work smartly and use your social media accounts to get traffic to your blog . Social media can provide million of visitors on your website you just need to use simple strategy that i'll show you below . you people should keep in your mind that this article is about Organic Traffic to your website , Organic traffic is another thing where you get traffic to your website through Search Engine . . Social media is a good weapon to explore your products and also help if you are doing affiliate marketing . You can get thousand of visitors and targeting audience to sell your products . Google trend and trending topics are the most easiest way to get million of visitors to your blog or website within 2 or 3 hours . you just need to see the most trending topics from google trend website and create a post or article use the same keyword and publish your article .Post your article on your social media pages or accounts like facebook or twitter . Take any trending topic or article from Google Trend . Post and Publish your article . After Post and publish your article , now its time to promote your article or story on facebook . Create a Fan page on facebook according to your niche or topic if you don't have before . Post your article and Boost your post for minimum only 1$ you'll see the results within 1 hour . Boost your post and target the audience from United States if you want good rates . Post your article on page which you want to promote . Boost your Post for only 1$ , if you have no more budget . Target USA audience if you want good results . Google Plus Profile is a platform where people join different communities worldwide and also get many traffic from google plus for their website . You need to create your account on google plus profile and join communities according to your website's niche . Join always large members community . Post your article there with large thumbnail , visitors will come on your blog through that link . Create Google Plus account using Gmail ID . Post your article there with large Thumbnail . You'll get a massive traffic to your website . After facebook ! Twitter is one of the largest social media platform where you can drive million of visitors to your blog . People get traffic from twitter using the Trend strategy . Trends are given on twitter according to the countries , most trending and searching topics on twitter . You can set your trend for instance if you want to get USA traffic then you'll set your trend location for USA . Now you just need to create an article according to the trend of twitter where you want to get traffic for specific country like UK or USA . Give 4 or 5 tags according to the trend , short your blog post URL and paste that on twitter , now tweet your article . you'll get million of visitors from twitter just using the Trending method . Create an account on twitter . Set your trend location for USA or Uk from left side . Create an article according to the trend of USA . Short you blog post URL using google shortner and post it on twitter . Us 4 or 5 tags according to the trend . Note : People hate spamming , don't cheat them , always share the real link which is related to your article .